This entry was posted in garden, nature, photography and tagged garden, insect, machimus atricapillus, macro, nature, photograph, photography, robber fly by Rachael. Bookmark the permalink. Love the backlit lighting on this one. Really highlights those little details. Beautiful. For a fly! Beautiful shot. I have a soft spot for hard bodies (exoskeletons, that is). Thanks! Plenty of those in this blog! Well then, you can bet I’ll be back. 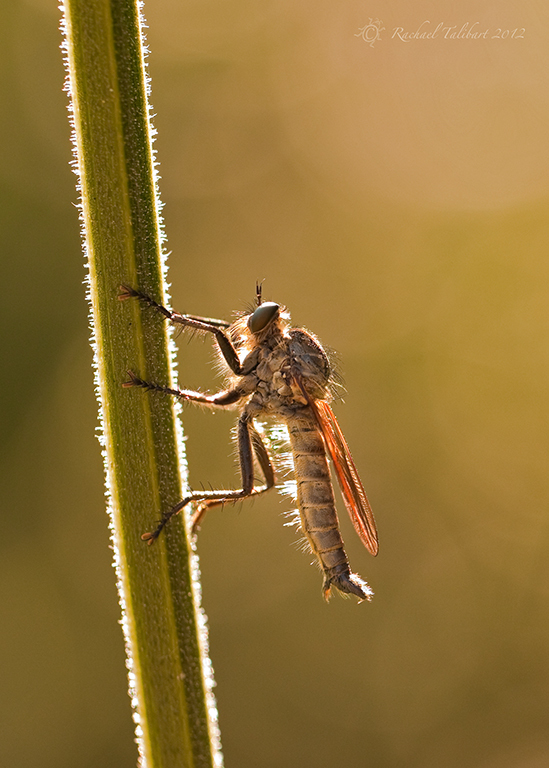 I found your blog accidentally when I was checking my own tag (robber fly). I gasped at the beauty (I know, most people don’t do that with a dang fly). Your photo captures are right up my alley. Hey…you might like this of my kids and bugs (http://wp.me/p28k6D-tU). You might say we’re missing the “ew-gross” gene.